Logitech's UE 9000 headphones are still preferable if you're looking for Bluetooth cans. 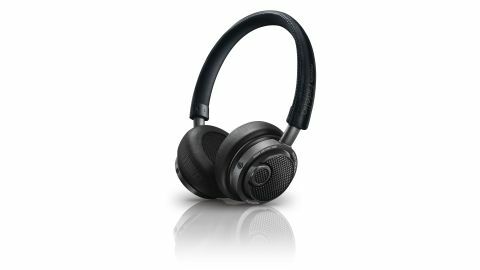 But the Philips Fidelio M1BT are good headphones, offering solid performance at a fair price. The Philips M1 wired headphones are stylish, refined and well-balanced, so when you take the M1s and add Bluetooth as an option for wireless music, the result should be delighted. But it isn't entirely so. The sound quality is still good. It's not especially attention-grabbing or memorable, but it's entirely competent: undramatic bass (which is a little soft), frequencies reasonably distinguished, and with detail if not perhaps fullness in the treble. It is, in short, the kind of sound quality you might expect in a pair of headphones at the same price as the Bluetooth-less M1, so you're really paying half as much again for the Bluetooth alone. Having a wireless connection between your smartphone and your headphones, though, really is something worth paying for. Until you use wireless headphones, you don't really realise how irritating a cable is. It gets tangled, restricts head movement, and it picks up and transmits noise as it bumps and tugs on your clothing. Going wireless brings its own disadvantages - price, regular charging (although you should get at least 10 hours from these), and a degradation in audio quality. Nonetheless, it's wonderfully liberating and convenient. The M1BTs support aptX. If your device does too, you'll be very hard pressed to tell the difference between that and wired sound. However, iOS does not support aptX, which means you'll be stuck with the compressed A2DP standard. At least there are easy to use controls on the right cup for volume/playback as well as mics for handsfree calls, and it's good that Philips has implemented the protocol that allows the M1BT's battery level to be displayed in an iPhone's status bar. Build quality is patchy: nicely premium in some places, but the jog wheel to control volume and skip tracks is rattly, for example. The bundled audio cable is good: it's basically a simple male-to-male 3.5mm jack, but Philips has given it some love. Not only is it a fabric-covered cable (helping it resist tangling) but it's sculpted at the headphone end to sit flush, and there are also two prongs that plug into holes in the cup to stop it rotating. Of course, if you lose it you can use any normal male-to-male 3.5mm cable - something that's less true of the Micro-USB charging cable. It too is sculpted and sits flush when connected to the other cup, but the position of the port on the headphones means that many normal USB cables will be too large to fit, and that's a bit of a pain. You don't really get much in the box. Besides the headphones, USB and audio cables, the only extra is a frankly rather useless soft pouch. At this price it would have been good to get, say, a quarter-inch adapter for plugging into big hi-fi systems and the two-pronged adapter for in-flight use, as well as a more robust case. They are, at least, neat compared to many Bluetooth cans, and the cups rotate 90 degrees so they sit flat to be slipped into a bag - though the on-ear design can get uncomfortable if you're listening for a long time. Audio isolation is good but don't expect them to block out the noise of an underground train, for example. This isn't necessarily a bad thing (not being entirely cut off from the world around you is a safer when navigating busy streets), but it's if you really want to concentrate on your music while using the M1BT headphones, you need to be in a reasonably quiet environment. These headphones have been received in many places with rapture, but that's misplaced. They are very good, and if the styling appeals to you more than the gargantuan (but much nicer-sounding) Logitech UE 9000s, they're definitely at least worth considering - and probably buying. But they're not without drawbacks. The unevenness of the build quality is a disappointment given you should be able to expect something beautifully made and premium at this price. There are niggles with the USB connector, and call me a demanding brat if you like, but I'd like a bit more in the box as well. All this would probably be fine - even for the price - if the sound quality blew us away, but it's merely competent. It's much better than the mushy, indistinct rumble of Sony's MDR-1RBT, but while it's good (especially if you don't have a point of reference for better quality) it's also no more than good.